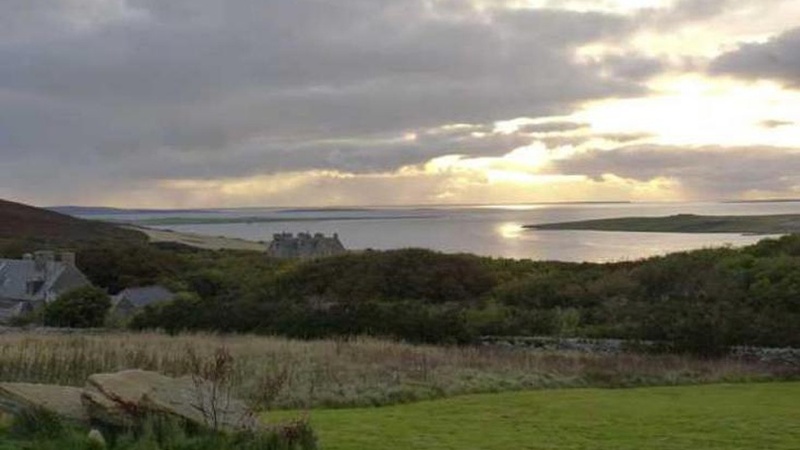 CKD Galbraith has brought to the market an historic residential and sporting estate set in one of the most beautiful parts of Orkney; the Island of Rousay. Trumland Estate was formerly owned by General Sir Fredrick Traill-Burroughs, one of the heroes of the siege of Lucknow in the Indian Mutiny. He built Trumland House in 1873 and continued throughout the1890s to carry out a number of improvements on the island but following his death the estate was gradually split up. The estate as it now stands was purchased by the Grant family of Grants Whisky before being passed on to the current owners who have spent a great deal of time and effort in its restoration process it is an estate steeped in Scottish history with an abundance to offer willing new owners. At one time the estate covered almost the whole of Rousay as well as the adjoining island of Wyre but it now comprises an estate of some 1746 acres (707 hectares in all). The sale includes Trumland House, built in 1873 to the design of David Bryce, three charming estate cottages and former coach house as well as excellent shooting, fishing and sailing opportunities on the surrounding land and water. Trumland House stands on around 44 acres and is approached by a gated and pillared entrance next to the Gate lodge. The property enjoys spectacular sea views to the south west and south east. This house represents a real project for new owners to embark on; the house although wind and water proof and having recently been re-roofed, is in need of interior refurbishment. 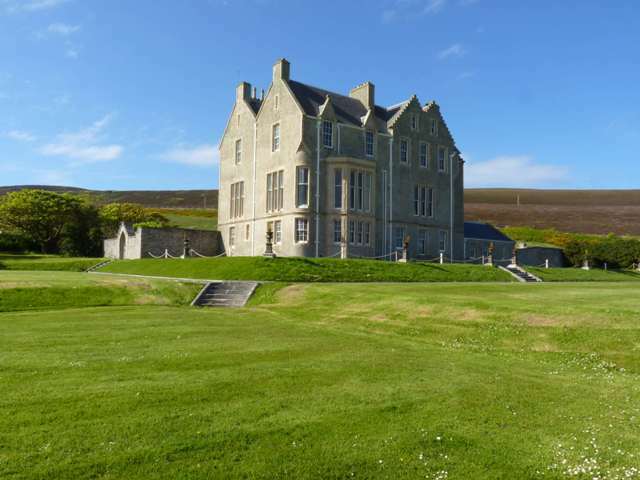 However, once refurbished Trumland House is certain to offer a fantastic family residence or, subject to obtaining all necessary consents from the local council, a superb small hotel. The front of the house overlooks beautiful terraced lawns and a short distance from the rear is a well maintained walled garden featuring a greenhouse and stone built potting and storage sheds. There is also the opportunity to restore the Estate's private 9 hole golf course back to full glory. Although historically used as an upland sporting estate with regular grouse shooting with reasonable bags being shot in the 1980s, formal organised shooting has not taken place in recent years. Trumland now offers some very enjoyable rough shooting with grouse, woodcock, duck and rabbit. The waters surrounding the Orkney Islands offer superb sea fishing and sailing opportunities and there is trout fishing on Loch of Wasbister. The island itself is a wonderful sanctuary about two miles north of the Orkney mainland and has been called The Egypt of the north' due to its archaeological diversity and importance. Rousay has a population of just over 200 with most employed through farming, fishing, craft or tourism related work. It is a completely self-sufficient island with a shop, primary school, doctor's surgery and Post Office as well as restaurants, a hotel and a fuel station. John Bound, who is handling the sale for CKD Galbraith, said; "Not for the faint hearted, this sale is a rare opportunity to own a diverse estate on a truly beautiful part of Scotland. Trumland House, although in need of some TLC interiorly, is very sound and as attractive as ever." Trumland Estate is for sale for offers over 950,000. For further information please call CKD Galbraith's Inverness office on 01463 224343.